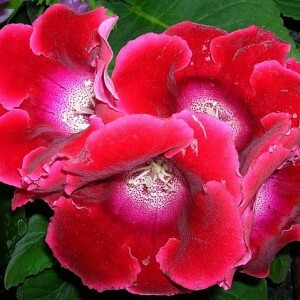 Gloxinia is a sort of plants of the family of Gesneriaceae, which homeland stretches from Mexico to Brazil. These are the tropical long-term land herbs and semi-bushes lodging colonies of the different size on rocks in ridges and spurs of the Andes, or in the woods, preferring shady crude places, or on coast of fresh-water reservoirs, the rivers and streams. Earlier scientists believed that the sort is completed with only six types. Now, thanks to molecular research it is revealed that than them and that it is less — only three. Gloksinia (Sinningia). Gloxinia species. Garden encyclopedia.